When Della, a North Carolina baker and devout Christian, is asked to bake a wedding cake for her best friend's daughter, she is overjoyed. But that joy is short-lived when she learns that the intended is another bride and realizes she is faced with an agonizing choice between faith and family. Struggling to reconcile her deeply-held belief in "traditional marriage" and the love she has for the woman she helped raise, Della finds herself in strange new territory. Inspired by a story still in the headlines, this marvelously funny new play by Bekah Brunstetter (This Is Us) is proof that love is the key ingredient in creating common ground. 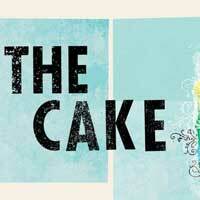 That '70s Show matriarch Debra Jo Rupp returns to the role of Della as The Echo Theater Company's production of The Cake takes the stage at L.A.'s Geffen Playhouse. "...And even though you may need a Kleenex, listen closely to the truthful honesty with which the lines are delivered by these two actresses dedicated to showing audiences that neither side is right or wrong, just diametrically opposed and correct to each of them. And I am not revealing whether or not Della bakes the cake or even attends the wedding as the truth is revealed during the final moments of the play when THE CAKE proves that love is always the key ingredient in life." "...Director Jennifer Chambers gets the tone just right. There are big moments of slapstick silliness involving food that open up into poignance. Ms. Chambers skillfully manages these changes in mood. A running theme is Della’s imagined interactions with the host of the television baking show she is about to be on. They start out broadly funny, but end up, like everything else, mattering more than you think they will. Is the host a stand-in for Jesus? Is he a representation of Della’s subconscious? He is certainly more than easy satire; and playwright and director are in sync on that."